BREAKING NEWS: It's Official! 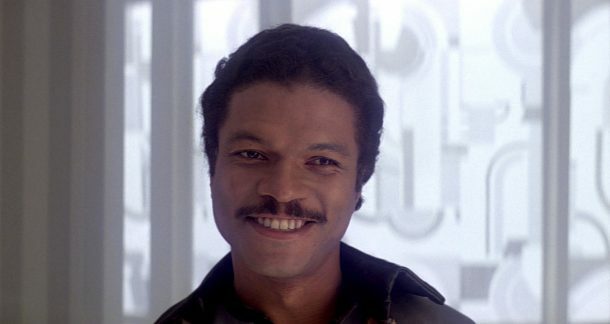 Billy Dee Williams Will Be in Episode IX! Hollywood Reporter (as well as several other entertainment websites) has just released an article which officially confirms that Billy Dee Williams will reprise his role as Lando Calrissian in Episode IX. Rumors were spreading a few days ago already, when Billy Dee had to cancel a convention appearence due to a scheduling conflict. Now that it is official, what do you want Lando to do in IX? Do you think he will have a somewhat larger role? Are you happy and excited a beloved Original Trilogy character finally gets an appearance in the Sequel Trilogy? This is something fans have been asking for since The Force Awakens. Next Article: Hasbro Keeps Innovating The Black Series Line!